Trees are awesome. Until they aren’t. There are all sorts of reasons for wanting to cut back tree branches, and not all are driven by human needs. They can overgrow in your garden, cause obstruction, and even cause you to fall out with your neighbour. But, they can also need pruning and cutting back to protect from disease and encourage growth and fruit. Are You Allowed To Cut Your Tree? Removing and even cutting back your tree may not be allowed without official council permission. 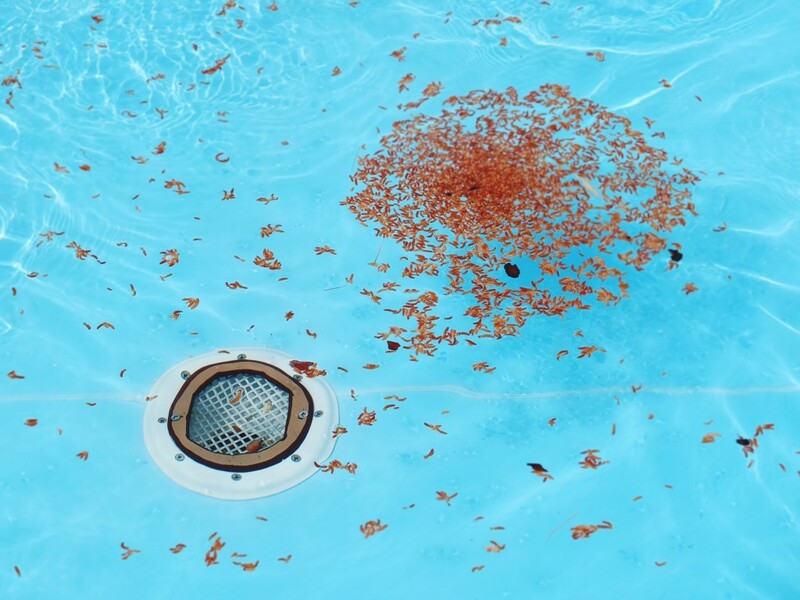 A neighbours branch protruding into your garden, shedding leaves onto your lawn, or clogging up your pool aren’t enough to warrant a trip to the garden to take branches down and laws differ state to state. Before you even consider cutting the tree branches back, or even removing the tree completely, you need to get permission from your local council or a qualified tree surgeon. Common reasons for branch and tree removal can be; building works and renovations, nuisance from a neighbours yard, land clearing, disease and overgrown roots. Double check what you can and can’t do in your state before digging out the hacksaw. How To Safely Cut Back Trees? Before you start, take a long hard look at your tree. Is it diseased? Are there dead branches? Are there nearby fences, walls and items which could be damaged should a branch fall the wrong way? Start by pruning all of the small twigs and thin branches on the tree and attached to the larger branch. This will remove the dangers of protruding thin branches and enable you to get to the larger branches safely and easily. You can then tackle the medium sized branches with a hacksaw. It’ll take a bit of elbow grease, so make sure that you are steady on the ground, or a solid ladder platform that isn’t wobbling. Bring in the help of a friend to help steady the ladder if need be. 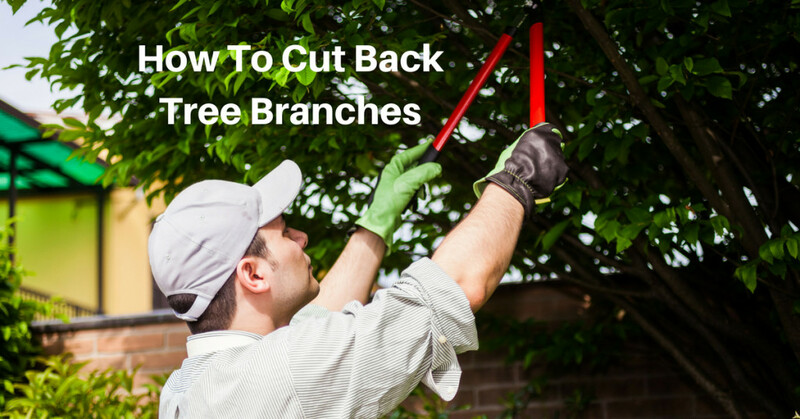 Cut the branch as close to the trunk as possible and at an angle, so as not to damage the main trunk of the tree. For the larger branches, those at height, or the tree itself, bring in a professional tree surgeon to finish the job. They can ensure the surrounding property and the tree itself (if it’s staying) isn’t damaged. It also takes away the risk of a serious accident. What Do I Do With All This Wood? There is likely to be a lot of wood, leaves and debris left over when removing larger branches. 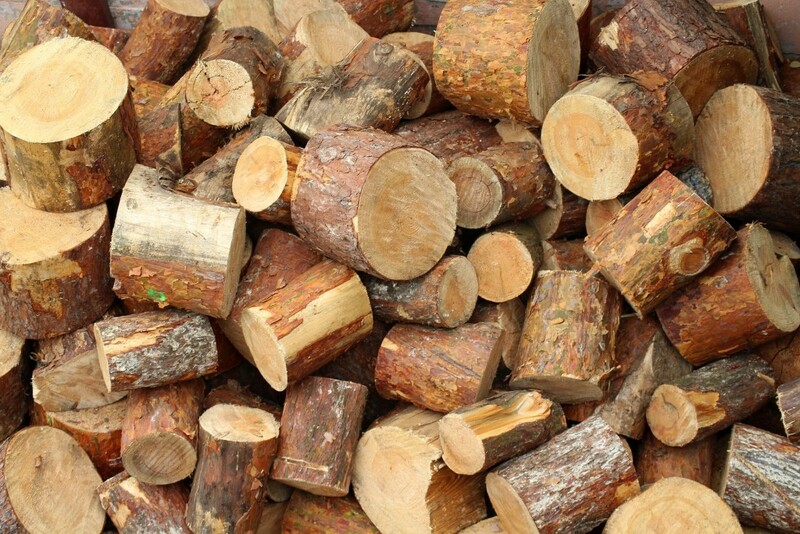 You can chop it and store it for firewood, or even sell it. But if it’s a big job, you may need an extra pair of hands. Local rubbish removers can also pick up garden rubbish for you and bring extra pairs of hands to load it into the truck. Look for a reputable rubbish remover that will clear your garden, load up your truck, and ensure the wood is disposed of safely and in through the right waste channels. 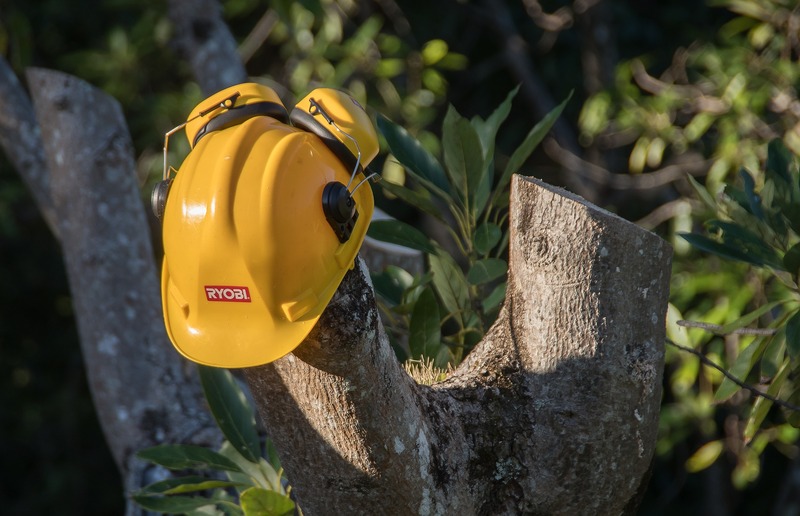 To summarise; Get the right permissions, assess the tree carefully before you cut back tree branches, leave the high and heavy lumber to the experts for smooth and safe tree branch removal.